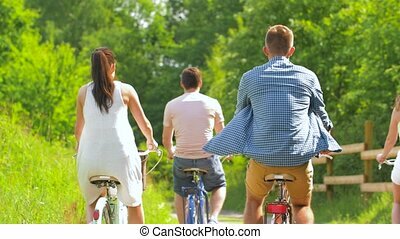 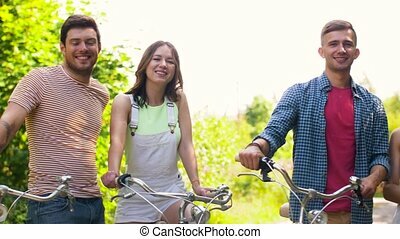 Friends with fixed gear bicycles walking in park. 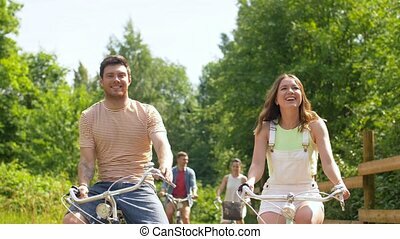 People, leisure and lifestyle concept - happy young friends with fixed gear bicycles walking along summer park. 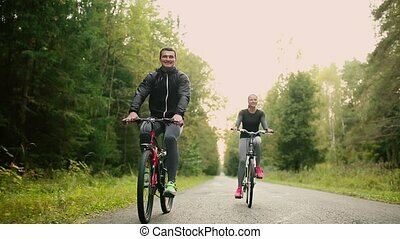 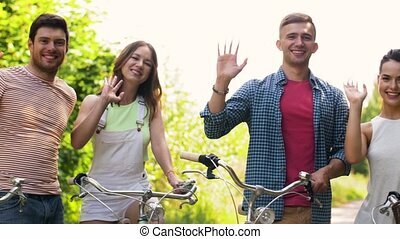 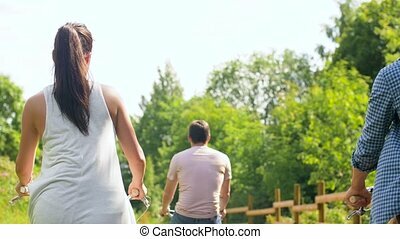 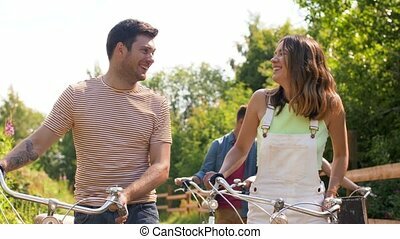 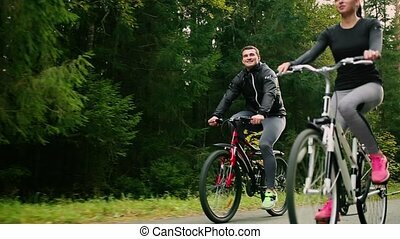 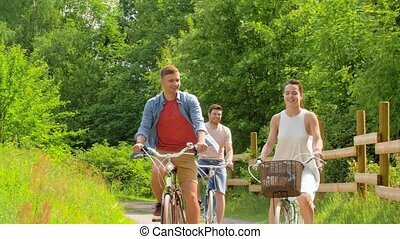 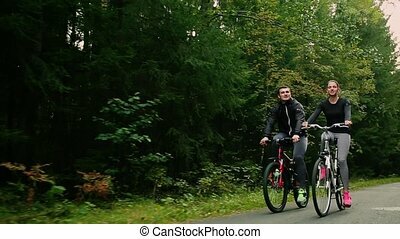 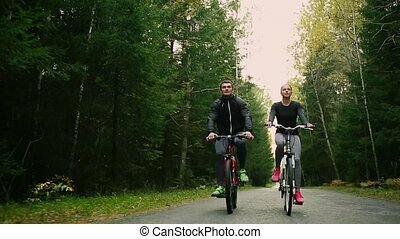 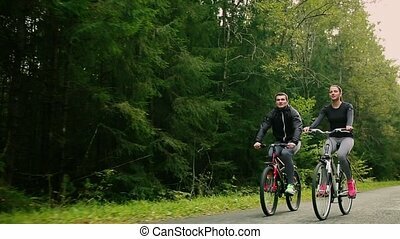 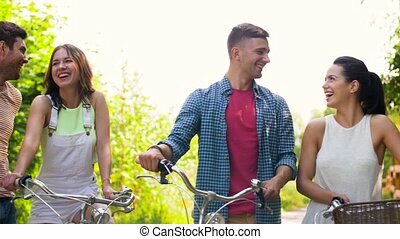 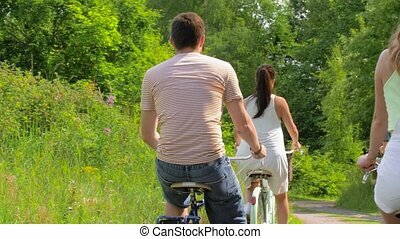 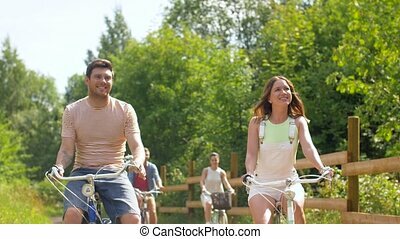 Attractive couple walking with bicycles and drinking water in the forest. 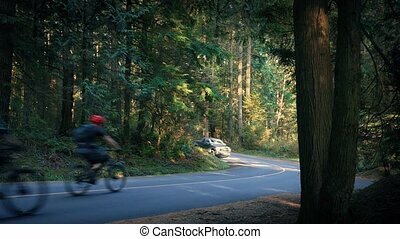 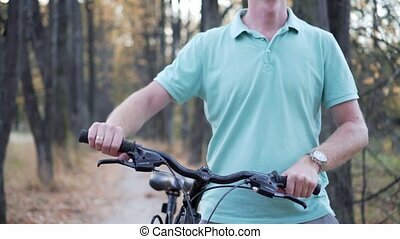 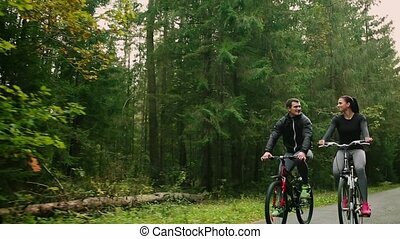 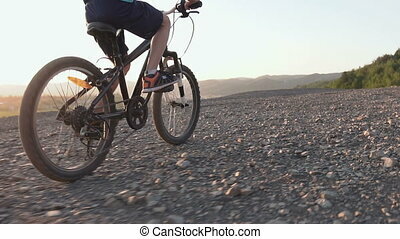 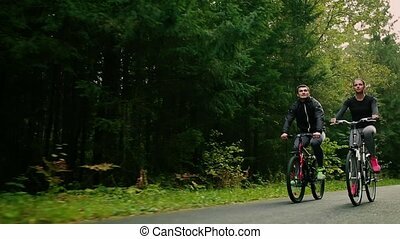 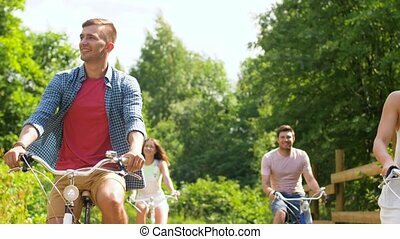 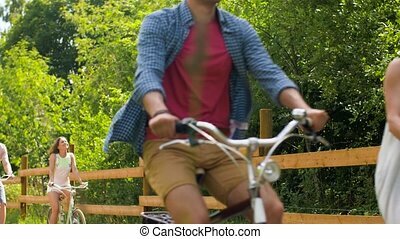 man in glasses is going with the bike in the woods and smiles.